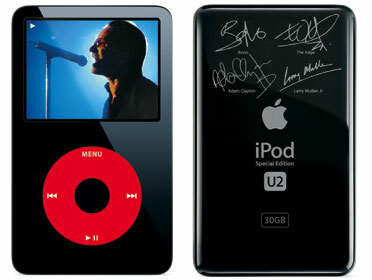 Introduced in June 2006, The iPod (with video, U2 SE), brought the familiar red circle back to the iPod line. Differing from the 30 GB iPod (with video) only in color and price, it sold for $329, and came with a coupon for 30 minutes of exclusive U2 video content available on the iTunes Video Store. In September 2006, Apple cut the price to $279.